View cart “Aquavie Gift E-Voucher £25.00” has been added to your cart. Our hugely popular Gift Cards can be purchased online in the form of a E-voucher, in store, or by calling our front of house team on 01732 353233. When purchasing online your e-voucher will be emailed to you direct. Please check your spam boxes if your voucher fails to arrive within 2 hours. All of our standard Gift Cards that are purchased in store are presented in a ribbon wrapped presentation card and are valid for six months from the purchase date. If you would be prefer for one of these vouchers to be posted to you, please call the spa direct on 01732 353233. Please note, if you wish to purchase a treatment with Elizabeth Caroline, you will need to purchase an Elizabeth Caroline voucher, as Elizabeth works independently to the spa. 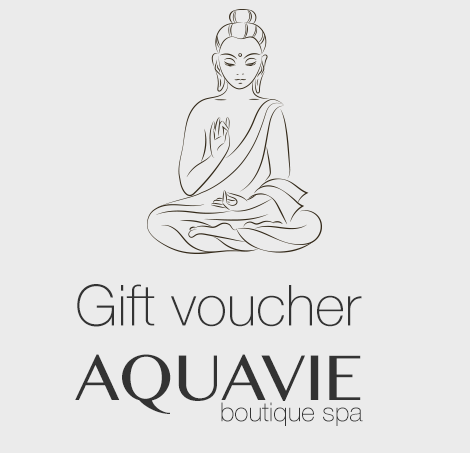 If you are looking for something a little more personal and would like to purchase a gift voucher comprising of a combination of our treatments, just give the spa a call on 01732 353233 or email us at info@aquavie.co.uk and our front of house team can arrange something to your requirements.